According to Daniel Vice, senior attorney for the Brady Campaign to Prevent Gun Violence, “concealed carry laws that keep guns out of the hands of dangerous people are exactly what the public demands to keep communities as safe as possible.” While that sounds good for a sound bite, the reality is dangerous. Criminals do not obey gun laws. What about those of us who do? Why should we, the law-abiding citizens, place our fate in the hands of criminals? More and more citizens are actively taking control of their fate and carrying concealed handguns. How successful you are at acquiring a permit depends upon where you reside and your status as a citizen of that jurisdiction. It will also depend on who you are and your tenacity, because it is not an easy process. It isn’t always easy to get a concealed carry permit, and it isn’t a matter that should be considered lightly. The way I see it, carrying a concealed firearm is the same as carrying a fire extinguisher in case of a fire. You want to be a first responder to stop intentional violent crime against yourself or someone in your care. It doesn’t matter where you live, or how great your neighborhood is. Where there are people, there are problems. Predators seek unarmed and easy targets. They are mobile and are constantly looking for easy targets of opportunity. They are looking to dominate, and control their intended victims. Carrying a concealed firearm may allow you to protect innocent lives and deter such attacks. Carrying a firearm will not make you invincible or give you superpowers. It is not a good luck charm that will ward off evil. It may give you a choice, and a chance. You have a choice to appropriately defend yourself from criminal attack that you would not have had otherwise, because of a disparity of force. With a firearm you have the option to act in a way that could stop the aggression. State governments consider the right to carry firearms a privilege. It is a privilege, so the bearer must be discreet, competent and responsible. Technically, as of 2014, all the states in America have some provision for law-abiding citizens to carry a firearm for self-defense, but it is the exact application of that provision that really counts. In reality, closer to forty states actually allow a firearm to be carried on one’s person. 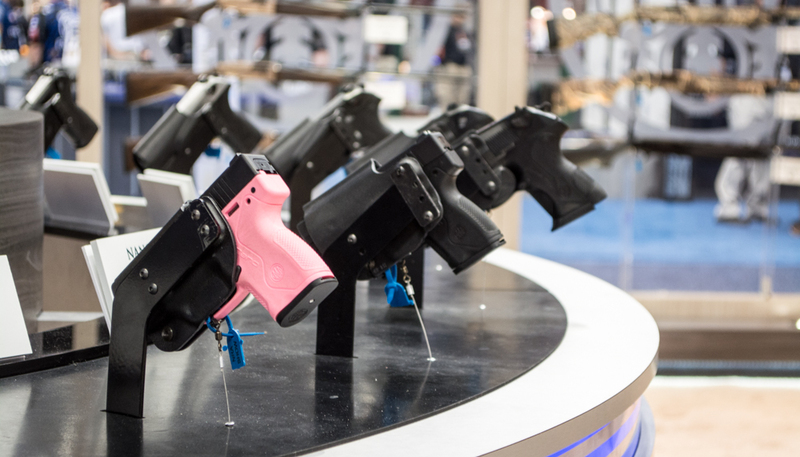 Illinois had been the last state without such a provision – but its long-standing ban on concealed weapons was finally overturned in a federal court. We colloquially break down states into four groups: Unrestricted, Shall Issue, May Issue, and No Issue. Unrestricted and No Issue are exactly what they sound like. The ones that stir up the most debate are the other two. May Issue laws require that you demonstrate a specific "need", to justify the granting of a license or permit. When I applied for a concealed carry permit, in Maryland, the application required that I articulate a “good and substantial reason.” Maryland’s laws require permit applicants to provide documentation that they need to carry a gun for work use, or that they face (or have documented) a specific threat. They give them to “certain” business owners, but not all. According to Maryland State Police, their Handgun Review Board received 5,216 permit requests in 2012. It rejected 251. Of those thrown out, 179 were denied because applicants did not give a “good and substantial” reason. A "Shall Issue" state removes all arbitrary bias and discretion, compelling the issuing authority to award the permit if they cannot find reason to deny the citizen. These laws require that the empowered authority “Shall Issue” a permit to applicants who meet the criteria defined by law. After you decide to proceed with the process, you should train (whether it is a requirement in your state or not). Training saves lives. Training allows for you to tailor your specific situational needs from the prescribed curriculum and lesson plans provided. Proper training will show you options for how to carry. It will help you save money in ammunition and gun purchases, and demonstrate the most effective way for you to operate on a day-to-day basis. A good instructor will be able to help discover what is appropriate for you in security, application and personal taste. This argument is older than all of us. It began at the invention of gunpowder. Carrying a concealed firearm for self-defense is a personal decision that should be made with the head and not the heart. The benefits to being able to do so can improve the quality of your life. It is often politically charged and infused with ignorance and fear but education can alleviate some of your doubts.